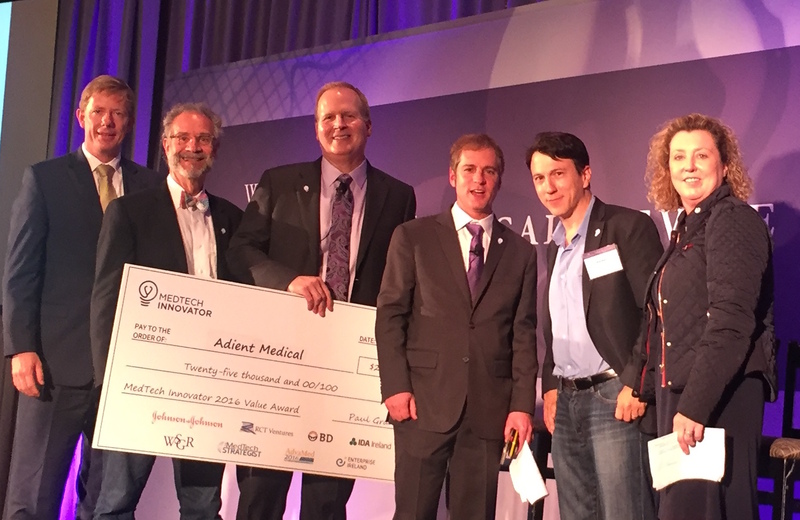 Los Angeles, CA (June 29, 2016) MedTech Innovator, the medtech industry’s global competition and virtual accelerator, announced today that Adient Medical is the winner of the global 2016 MedTech Innovator Value Award competition, the first of three awards that will be given this year. The other two awards in 2016 will be for Execution and Momentum, and the MedTech Innovator finals will be held October 19 at AdvaMed 2016. Adient Medical was selected in first place as the company with the most attractive value proposition by an electronic vote of the audience at Wilson Sonsini Goodrich & Rosati’s 24th Annual Medical Device Conference. As the first place winner, Adient Medical won a cash prize of $25,000 and will be profiled in an upcoming issue of the MedTech Strategist. The second place winner was Green Sun Medical. An industry selection committee chose Adient Medical, Green Sun Medical, SafeHeal, and Echo Labs to compete for the audience vote. 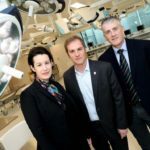 Some of the sponsors of MedTech Innovator’s cash prizes include Johnson & Johnson, RCT Ventures, BD (Becton, Dickinson and Company), Enterprise Ireland, and IDA. The panel of investor judges for the MedTech Innovator Value Award competition included Renee C. Ryan, Vice President, Johnson & Johnson Innovation – JJDC; Albert Lauritano, Director, Strategic Technology Partnerships at BD; Daniel Kraft M.D., Faculty Chair for Medicine, Singularity Univ and Founder, Exponential Medicine & RegenMed Systems; and Jan B. Pietzsch, President and CEO, Wing Tech Inc. The Emcee was Paul Grand, Managing Director, RCT Ventures and head of MedTech Innovator. The Wilson Sonsini conference audience voted in real time for the winner, Adient Medical, using their mobile devices. Adient is developing the first absorbable Inferior Vena Cava filter for the prevention of pulmonary embolism (PE). PE is the third leading cause for deaths in the U.S., and it accounts for 100-300 thousand deaths annually. The filter protects those at risk for PE by trapping blood clots destined for the lungs. For detailed information on Adient Medical, Green Sun Medical, SafeHeal, Echo Labs, and the other MedTech Innovator 2016 Semi-Finalist companies, see http://medtechinnovator.org/2016semifinalists. MedTech Innovator’s mission is to accelerate the development of transformative innovations that benefit patients and deliver improved value to the health care system. MedTech Innovator 2016 features 20 Semi-Finalist companies selected from 430 applications that address one or more of the transformative themes identified in a 2016 survey of leading manufacturers and providers. 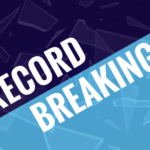 The 2016 program includes three competitions: the first was April 13, 2016 at the Innovation in Medtech Summit in Dublin Ireland, the second was June 24, 2016 at the Wilson Sonsini Annual Medical Device Conference in San Francisco, and it will conclude with the finals at AdvaMed 2016 in Minneapolis, MN on October 19, 2016. To learn more about MedTech Innovator, visit http://medtechinnovator.org and follow @MedTechAwards on Twitter.